All of these aspects are now very well measured owing to a fairly new ocean observing system called Argo. The network of autonomous profiling floats has now been in place for over 13 years. Also, the quality of older ocean data has been substantially improved, and there are both better and independent methods that account for the sparseness of ocean data before Argo era. Together these advances have enabled quality reconstructions of the past ocean temperature record back to about 1960, enabling the context of the record-breaking recent observations to be properly established. 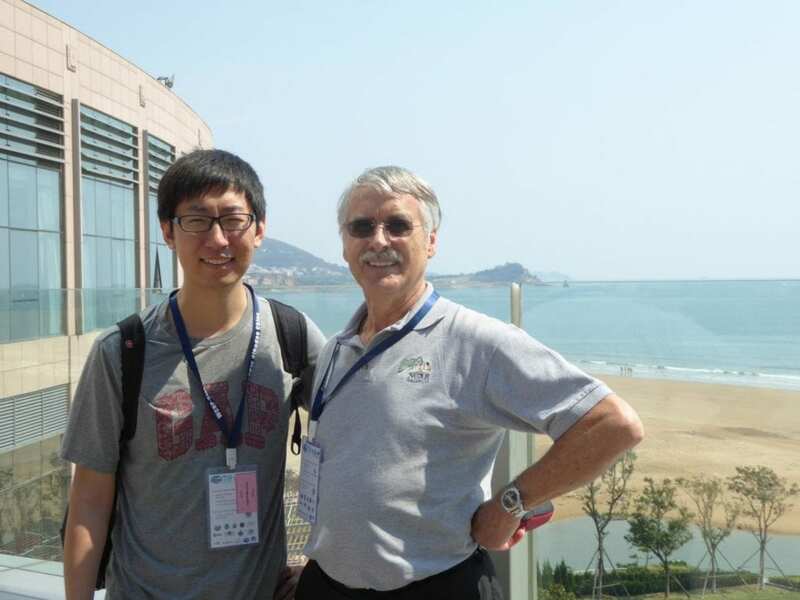 The new article, led by Dr. Lijing Cheng of the Institute of Atmospheric Physics, Chinese Academy of Sciences, highlights how the new observations along with adjusted older records now clearly show not only how the ocean is warming but that the warming is accelerating. The newly available ocean heat content time series from multiple groups show more consistent but stronger ocean warming since 1960 than previously reported (by the Intergovernmental Panel on Climate Change’s Fifth Assessment Report published in 2013). 2018 is likely to be the hottest year for the oceans on record, beating out 2017 which held the record. 2015 is next warmest, although 2016 was the hottest for the global mean surface temperature, but that was in part because of the huge El Niño event that took place: the extra heat at the surface was at the expense of the ocean which cooled off slightly. By taking up about 93% of the Earth’s energy imbalance created by increasing heat-trapping gases in the atmosphere from human activities, the oceans are the main memory of climate change. Moreover, this warming contributes to the rising sea level. It has also contributed to increases in rainfall intensity and stronger, longer-lasting storms, such as Harvey in 2017 and Florence in 2018. In turn declines in ice sheets, glaciers and ice caps, along with declining ocean oxygen levels and destruction of corals reefs accompany the warming ocean. Moreover, the revised and updated ocean heat content record is much more in step with the warming predicted by climate models, thereby providing much more confidence in expectations for the future. The climate models project continuous ocean warming in the 21th century; how much depends on human actions to address climate change. If no actions are taken (“business as usual”), the upper ocean above 2000 meters will warm by 2020 ZetaJoules by 2081-2100, which is about 6 times larger than the total ocean warming during the past 60 years. If the target of the Paris Agreement can be reached, the total ocean warming could be cut in half by 2081-2100 (about 1037 ZetaJoules). The fairly steady rise in ocean heat content clearly shows that the planet is warming. Ocean heat content is not bothered much by weather fluctuations that do, however, affect the surface temperatures, and it is somewhat affected by El Niño events. With consequences in the tens of billions of dollars per year, and prospects for further increases in ocean heat content and sea level rise, the case for much more urgency in addressing the causes of global warming is abundantly clear. Interviews: To request an advance copy of the paper or to organise interviews, contact Ms. Jenny Lin at Institute of Atmospheric Physics, Chinese Academy of Sciences ([email protected]). Dr Lijing Cheng is available for email interview.